The president's proposed $1 trillion infrastructure investment could heat up the debate around the role of the federal government in local planning and policy. 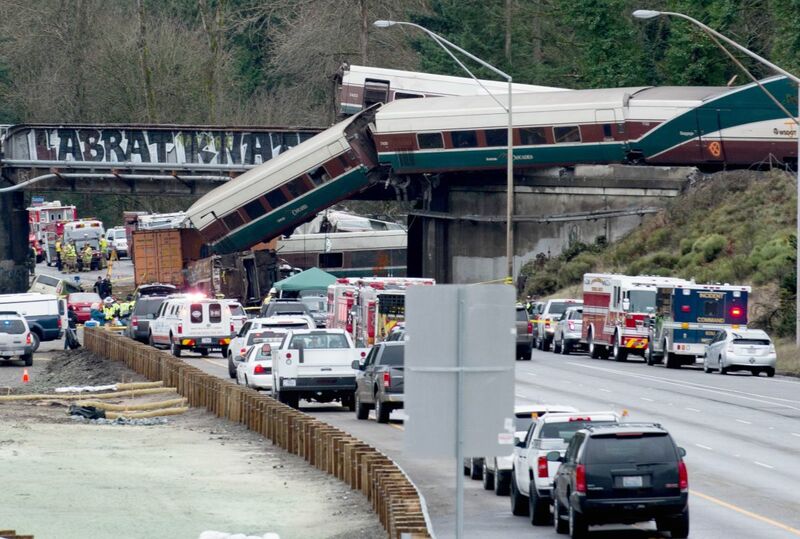 An Amtrak high-speed train derailed from an overpass early December 18th, 2017, near the city of Tacoma, Washington. 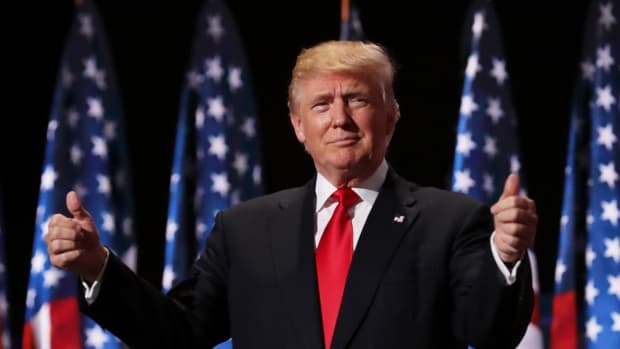 President Donald Trump took many opportunities in 2017 to rail against the state of the United States&apos; infrastructure, most recently using the fatal Amtrak crash in Washington state to point out the country&apos;s crumbling bridges, roads, and railways. 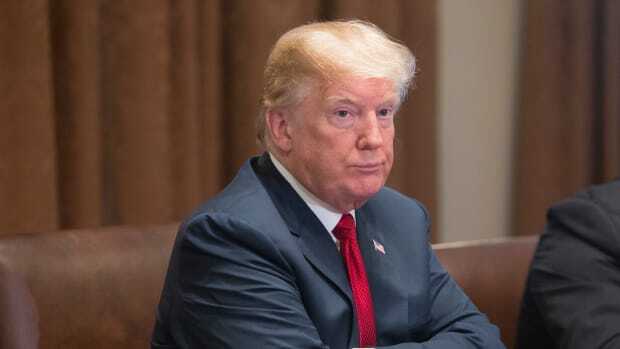 "[O]ur soon to be submitted infrastructure plan must be approved quickly," he tweeted, harkening back to his oft-repeated promise to invest $1 trillion rebuilding the country. That plan turned into little more than a punch line this past year. But come January, the White House will begin a push, in earnest, for a national infrastructure package that gets to $1 trillion in overall investment, using $200 billion in federal "seed" money, a senior official recently told Fox News. 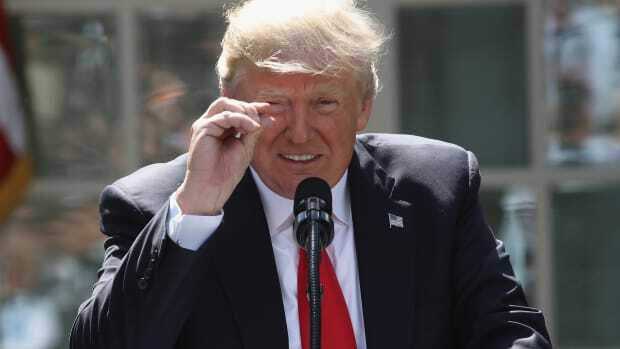 Trump advisers had previously described an infrastructure package that would rely on the private sector to make up the $800 billion difference. In this version, most of the $200 billion would be rewarded on a competitive basis to states and localities that promise to raise new, infrastructure-dedicated revenue on their own, for a total of $1 trillion, according to White House officials. 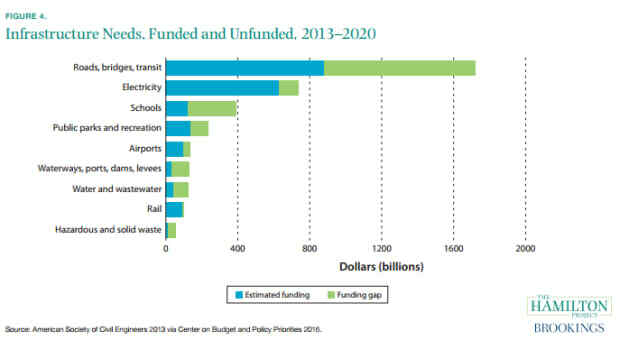 Some portion of the $200 billion would directly fund projects in rural areas. Such a plan could have its merits—many communities have long needed to look to themselves, rather than the federal government, for the means to build roads, pipes, and transit. But governors and mayors may not have the stomach to take on even more responsibility for infrastructure payments, especially on the heels of a GOP tax bill that promises to dramatically trim tax revenue coming in to certain states and cities. Trump&apos;s new plan may heat up the debate over the role of the federal government in shaping local planning and policy. America&apos;s decaying transportation and communication networks was a leitmotif of Trump&apos;s run for president. A campaign proposal even sketched the philosophical outlines of a Trumpian infrastructure bill: 200 billion in federal dollars would be leveraged to attract $800 billion in private investments through public-private partnerships. But the president&apos;s public-works-related pronouncements were frequently overshadowed by other events post-inauguration, and no concrete infrastructure funding proposal ever emerged. Indeed, the White House actually called to "obliterate the primary source of funding for surface transit," said Kevin DeGood, the director of infrastructure policy at the Center for American Progress, when it released its draft budget for 2018. That document called to cut the Department of Transportation&apos;s discretionary budget by $2.4 billion, and to reduce the government&apos;s regular infusions to the dying Highway Trust Fund by $95 billion by 2027. Meanwhile, GOP leaders in Congress made clear that infrastructure was not high on their agenda. Infrastructure fell somewhere far behind repealing the Affordable Care Act and reforming the tax code in the legislative queue. Then, in September, something shifted: Trump began to emphatically state that private investment would not be the focus of his eventual infrastructure plan. In a White House meeting in September, the Washington Post reported that the president pointed to well-known examples in Vice President Mike Pence&apos;s home state of Indiana of how PPPs can leave the government saddled with debt if contracts aren&apos;t carefully negotiated at the start. The new funding focus: states and cities. At an event in early December, DJ Gribbin, an infrastructure policy adviser to Trump, described the new plan as an "incentive program." "Part of what we want to do ... is say, &apos;Listen, if you as a state or local elected official are willing to create a new revenue stream for infrastructure, we as the federal government want to partner with you in doing that,&apos;" Gribbin said. White House officials have described themselves as neutral about how local players would come up with their spending share. "We will be agnostic as to the type of revenue, as long as it is new and dedicated to infrastructure," one White House official told the Post. At the state level, that could mean raising gas taxes, as states as politically diverse as New Jersey, California, Tennessee, Montana, and Indiana have done in the past year. For cities, the answer might be in sales-tax-boosting measures, such as the ones that Los Angeles and Seattle passed last year. Others might prefer to implement tolls, congestion pricing, or other kinds of user fees. They might also seek financing methods that rely on private investors. Gribbin has said the White House plan will lay out "clear, measurable, objective criteria" for how localities and states would win money. But Tomer said the details he&apos;s seen place less stress on the nature of the projects it would fund, and more on who would be paying for them. "The more you come up with new revenue, the more likely you are to get help from the feds. This is going to be the key to the details," he said. Compared to what TIGER and New Starts have provided, states and cities would foot larger shares of the final bills of their infrastructure projects. Roads for the Highest Bidder? On one hand, an infrastructure plan that calls on states and cities to rethink how they raise infrastructure funds could be welcome. With the Highway Trust Fund practically bust, states and cities have been receiving smaller and smaller outlays for highways and transit for years. "Doing things the old way and allocating [money] based on population, or trust fund contributions, or lane-miles—that could use some revamping," said Tracy Gordon, a senior fellow at the Tax Policy Center, a joint project of the Brookings Institution and the Urban Institute. "It&apos;s not a bad idea to force some creativity in the sector." On the other hand, Trump&apos;s push to rebuild infrastructure would come on the heels of the most dramatic rewrite of the U.S. tax code since the Ronald Reagan years, with major implications for every tier of governance. The new law, signed by Trump on the Friday before Christmas, will add nearly $1.5 trillion to the federal budget deficit over the next decade, according to the Congressional Budget Office. That, in turn, is likely to trigger cuts to discretionary programs that help communities build roads, fly planes, drink clean water, and connect to the Internet. "That&apos;s where we are starting from," said Scott Goldstein, the policy director at the lobbying group Transportation for America. "With that as a foundation, it&apos;s hard to see how you&apos;ll find that trillion to invest." On top of that, nearly half of all states already faced budget shortfalls in 2017. A 2016 survey of municipal leaders by the National League of Cities found that ever-larger infrastructure needs were a top source of fiscal strain. Now, with Americans no longer able to deduct more than $10,000 in SALT taxes on federal returns, state and local governments will likely find a plethora of basic services—everything from public schools to first responders to pothole and streetlight repairs—even harder to pay for. By effectively dangling infrastructure grants to the highest bidder, the White House&apos;s proposal could pressure those same layers of government to corral what few resources they have into paying their share of an infrastructure plan. Cities that never financially recovered from the recession, like Detroit, Cleveland, Stockton, and Memphis, may feel especially limited in their spending options if federal grants are only available for big spenders. "It&apos;s an interesting time to be asking this sector to be more creative with revenue sources," Gordon said. "Trying to get them to share more of the funding burden is probably not going to go over that well." Tomer put it a little more strongly. For cities, he said, "it&apos;s going to be like, &apos;You&apos;re messing with my money.&apos;" Prodding cash-strapped states and localities to contribute more resources may cast a harsh light on the poor fiscal health that many of those places are suffering. The debate on how much the federal government should be involved in helping local economic recoveries—and how—may heat up. To be clear: These implications remain notional. Whatever the White House presents next month—likely before the State of the Union address January 30th, Politico reported—will be a conversation starter. Such a push might prove useful for turning around Trump&apos;s dismal public polling. Some Democrats in Congress are already criticizing the package&apos;s small federal contribution, while others have said they&apos;d be willing to negotiate to shepherd such a package through. It&apos;s mayors and governors who will be dealing with the aftermath, however; soon, their voices may be getting louder. This story originally appeared on CityLab, an editorial partner site. Subscribe to CityLab&apos;s newsletters and follow CityLab on Facebook and Twitter. Laura Bliss is a staff writer at CityLab, covering transportation, infrastructure, and the environment. The shutdown was also consistent with a goal long sought by a subset of the Republican Party that wants to dismantle the government. A lawsuit filed last month by four states attacks the legislation as it resulted in much higher federal taxes for many residents of high-tax states. Why, where, and how to put federal dollars into our aging infrastructure system. 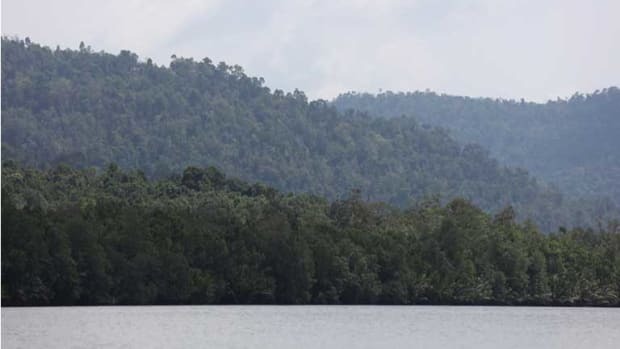 Though Southeast Asia doesn't top the president's agenda, his proposed foreign aid cuts and isolationism could have lasting negative effects on Cambodia's environment. 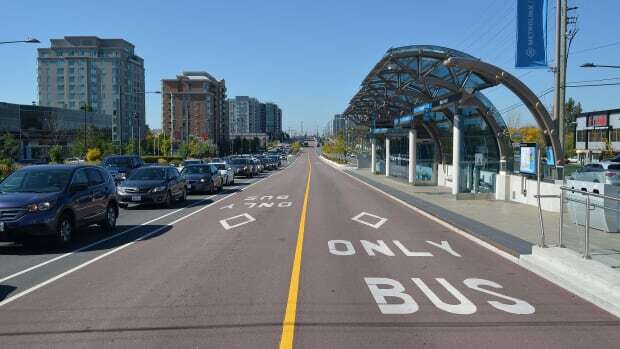 Could Designing a Better Bus Lane Be Done With a Simple Can of Paint? "Tactical transit lanes"—also known as dedicated bus lanes—are a simple and low-cost way of creating better bussing infrastructure. The theory behind Trump's budget is that we must take from state and local programs in order to fund federal defense projects.